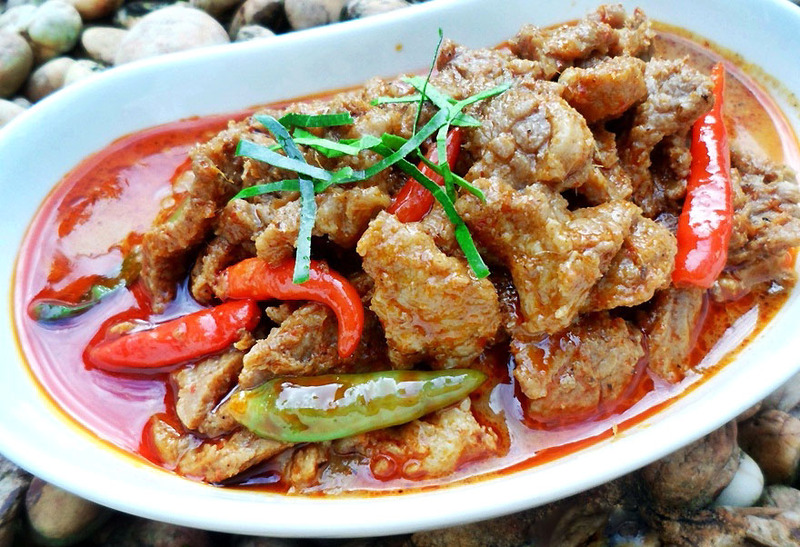 Thai food is globally popular due to its tasty combination of sweet, sour and saltiness, appetizingly enhanced by tanginess from an assortment of chilies used in typical dishes. This flavorful blend which has become characteristic of traditional Thai food remains distinctive in local fare until present days. Thai food combines the best of several Eastern cuisines: the oriental bite of Szechwan Chinese, the tropical flavour of Malaysian, the creamy coconut sauces of Southern Indian and the aromatic spices of Arabian food. Thais then add an abundance of fresh ingredients, coriander plants, chilies and pepper. 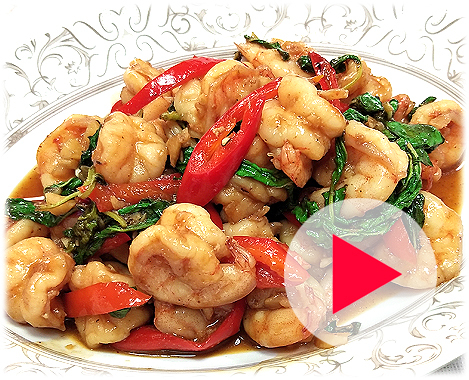 The result is like a cuisine minceur' of the Orient, with small portions of lean meat, poultry and seafood, and plenty of fresh vegetables and salads. 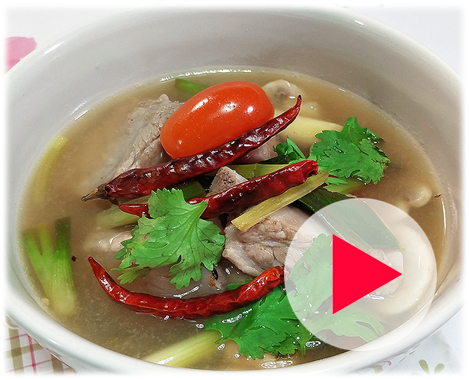 Thai food is lightly cooked so it's crisp, colourful, sharply flavoured and nutritious. The distinctive taste comes from a handful of fundamental ingredients, all widely available at Asian foodstores. Ingredients that are essential in Thai cooking are spices and herbs, which, beside their aromatic quality, are known to have diverse health benefits. The essence of many types of herbs can aid in regularizing the circulatory system of the body. The knowledge of using herbs in Thai cooking, derived from traditional Thai medicine, makes Thai food a healthy choice in a real sense. 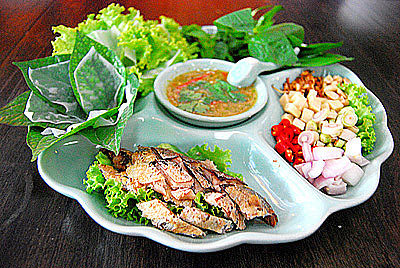 A Thai meal normally consists of a variety of dishes such as a curry, a soup, a stir-fry and a dipping sauce or salad. 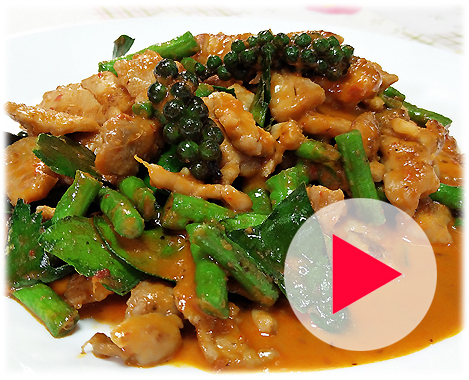 There is normally a balance of spicy and mild dishes with at least one mild dish to counter the spicy dishes. Thai cooking is not difficult. Once you are familiar with the main ingredients and we can guarantee that you will amaze yourself with the delicious food that you can cook. The Thai way of life is laid back and this translates into their cooking too, so don't worry too much, relax, keep a smile on your face and enjoy!